Hey! Careful with that buoy! Not to worry. The Michigan City buoy is receiving first-class care and attention while it spends the off-season in a warehouse at Purdue. 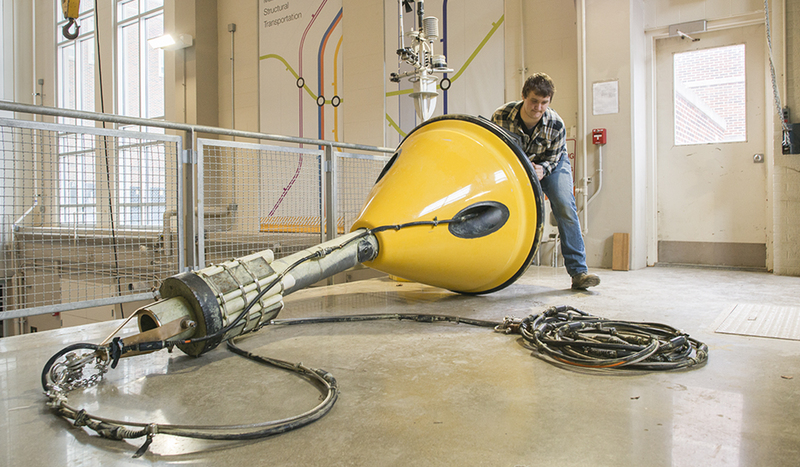 PhD candidate, David Cannon, pictured, is cleaning, charging, and repairing the buoy, readying it for its spring launch.